Having introduced real ale to Monifieth when we took over the Milton in 2010 we started with one hand pull serving Caledonian Deuchars. Today, we have four hand pulls and always have a selection of three real ales to choose from. We like to try beers from all over the United Kingdom so we don't have any permanent ales, just a constantly changing line up of excellent offerings. Having no ties to breweries or suppliers we can stock whatever we like and buy beer from people the length and breadth of the country, from Orkney Brewery in the north of Scotland to St. Austell Brewery in Cornwall in the south of England and many locations in between! The Milton has been awarded the Cask Marque award. 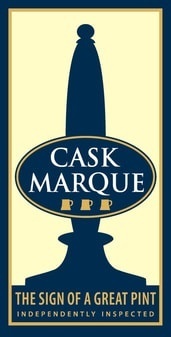 Cask Marque was set up to reward excellence in the service of Cask Beers. Random inspections are carried out twice a year by independent inspectors who will test all the cask beers on sale for appearance, aroma, taste and temperature. The beers must meet high standards in all 4 areas in order to retain the cask marque. We have retained this annually since 2010. 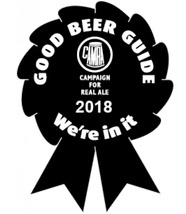 The Good Beer Guide is fully revised and updated every year with details of more than 4,500 pubs across the country serving the best real ale. 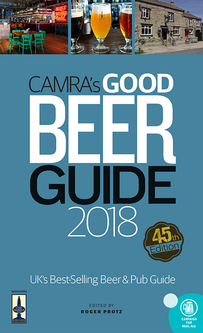 From country inns to urban style bars and backstreet boozers, all entries are selected and reviewed by over 155,000 CAMRA members. This is your definitive guide to finding the perfect pint.